Her words contemplative; poignant, yet hopeful. Her voice dynamic; soft, yet powerful. 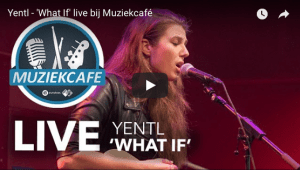 Yentl is a singer-songwriter who is originally from The Netherlands, but found her musical roots in Nashville, TN. Her music shows clear influences of country music as her self written repertoire is greatly energetic, yet can easily strike a sensitive chord as well. Alltogether, her contemplative words, her dynamic voice (with a backdrop of smooth vocal harmonies), her soft yet powerful sound make for a passionate performance. 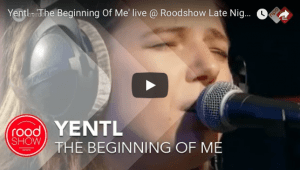 In 2017 she released her debut EP “The Beginning of Me”, which she recorded in the LampLight Studios in Nashville. 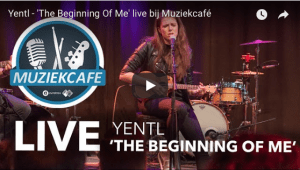 There, Yentl’s songs – originally written on her ukulele – were given new life by producer Henk Pool (Testify to love – Avalon/Wynona Judd; Als alle lichten zijn gedoofd – Marco Borsato, co-writes with Matt Simons, Diggy Dex and others) and a band of renowned session musicians. After the EP release Yentl proved her versatile writing ability as songs from her EP were placed in the Dutch coming of age movie ‘Pestkop’ (transl. ‘Bully’) and the play ‘Drs. Down’, created by Dutch television presenter Ivo Niehe. In addition, she co-wrote pop-tracks that will be released shortly by Hollywood Records (Disney Music Group, UK) and in Belgium for a #1 artist (t.b.a. ), both of which would not be out of place in a repertoire like Dua Lipa’s or Christine and the Queens’. Yentl’s career in songwriting took flight after being invited to the internationally acclaimed songwriting camp in Las Negras, Andalusia. In 2018 Yentl signed an exclusive publishing deal with Denham Music Publishing. By teaming up with DMP, she will be developing her own music and career, as well as write for other artists and assignments. New co-writes and collaborations, with both Dutch and international artists and songwriters, are already in the works.